. :Image Gallery for The South Cleveland Heart Fund :. We receive lots of photographs from people who support South Cleveland Heart Fund showing the many different ways in which they raise money for our cause, these photographs often feature in News articles, Recent Donation Stories and elsewhere on our site. It is our intention to show some of the photographs we receive in the image gallery as a way of saying "Thank You” for the amazing generosity of so many giving their time and money in support of our cause and also in the hope that it will inspire others to support us. 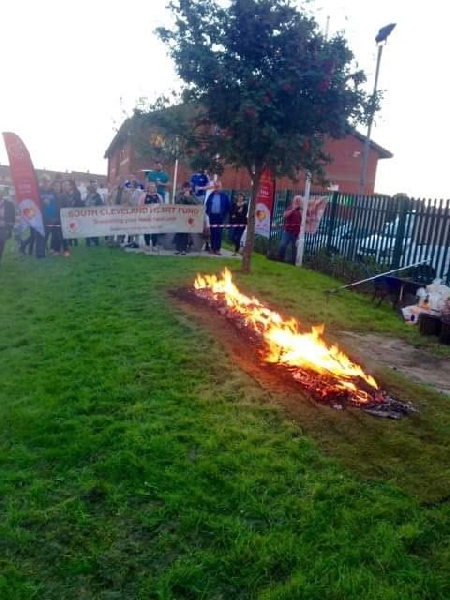 On Sunday 18th September a Sponsored Fire Walk was orgainsed in aid of SCHF, The walk took place at Acklam Rugby Club and this is a small collection of photographs from the event.